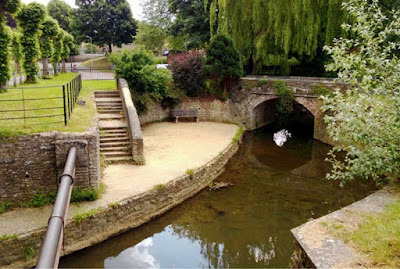 Police officers are to carry out more patrols after a man was reported to have urinated into the River Cale at Wincanton, Somerset. PCSO Janet Sparkes said reports had been received of adults drinking in the skate park, and one of them relieving himself into the river that runs nearby. Ms Sparkes spoke at a meeting on Wincanton Town Council on Monday. She said: "Members of public have made us aware of adult drinkers in the skate park. "Also a male was seen urinating in the river. Regular patrols are being carried out by officers in order to establish the identity of the offenders." I don't know. If you can't piss in a river, where can you piss?